What a bonny bunch – again ! Mallinder, Andrews and 3 Stringers posing together. What more could any ward want or need ? 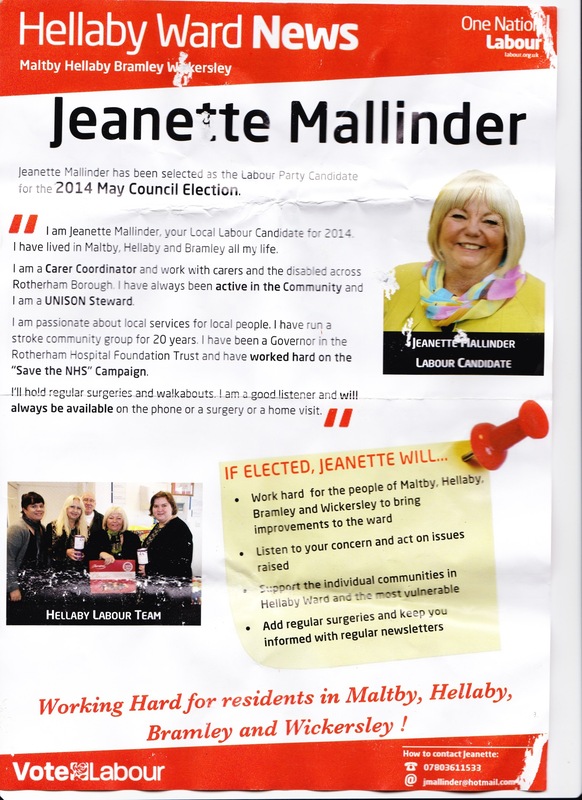 I reproduce below two scans of a leaflet found discarded in Hellaby Ward. If you have the same or similar from any of the political Parties, please scan it as a .jpg and attach it to an email to Rothpol. Many thanks go to Omar Meban, the Conservative Candidate for Hellaby Ward. Thanks for that. Mr Chambers. 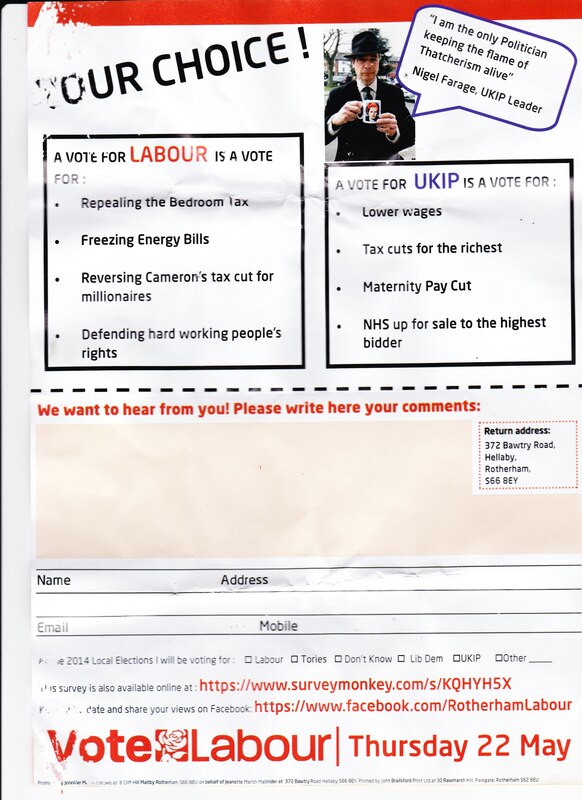 If I did not know better I might think that you will be voting Conservative at the next opportunity !